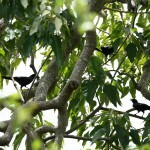 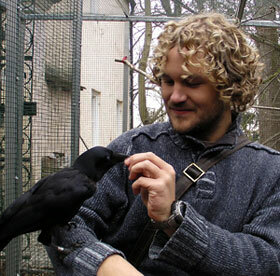 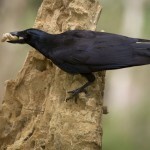 New Caledonian crows are a fascinating tool-using species. 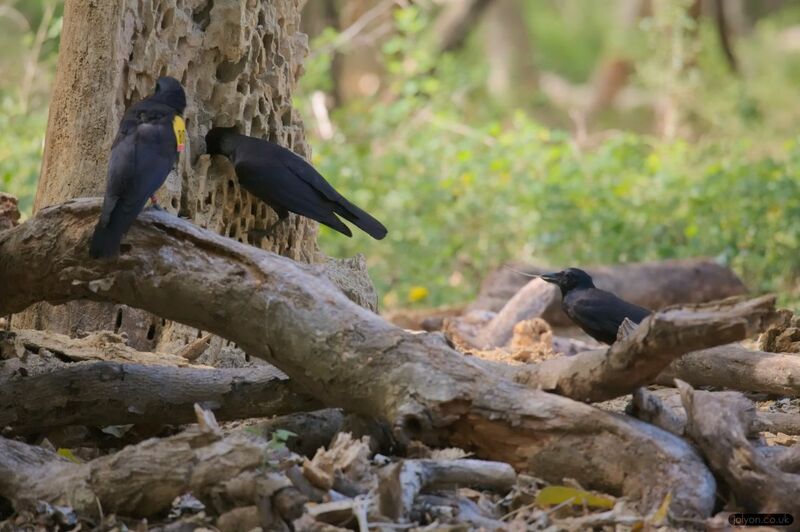 I worked with these birds during my PhD at Birmingham University, where I investigated some of the behavioural, ecological and morphological factors that related to their tool-use behaviour. 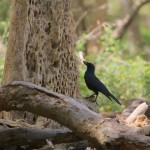 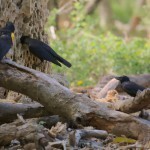 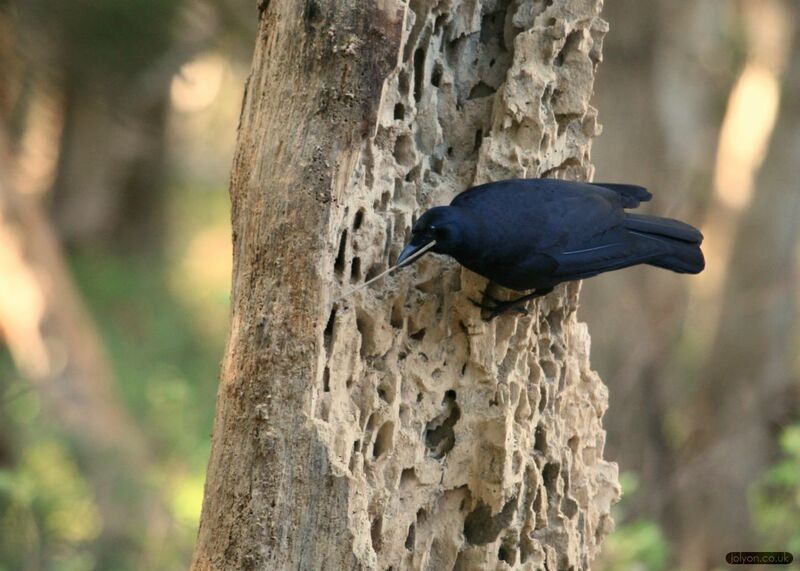 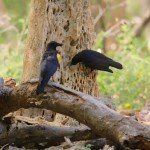 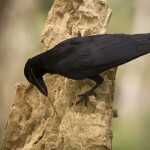 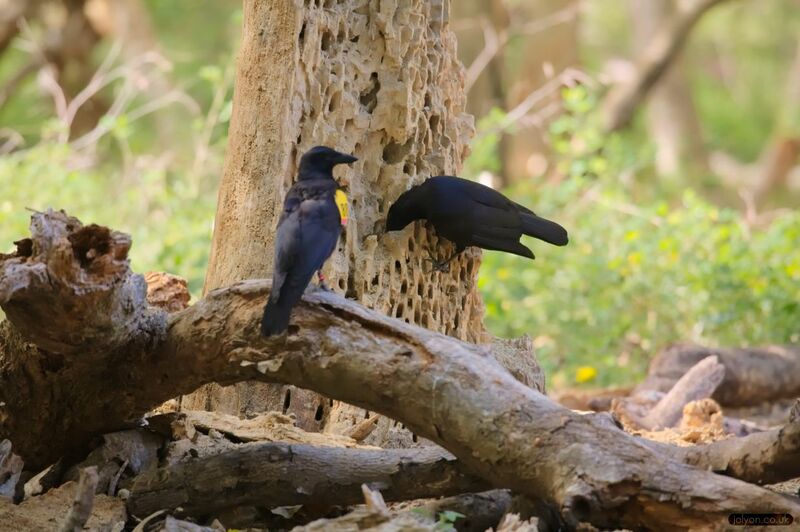 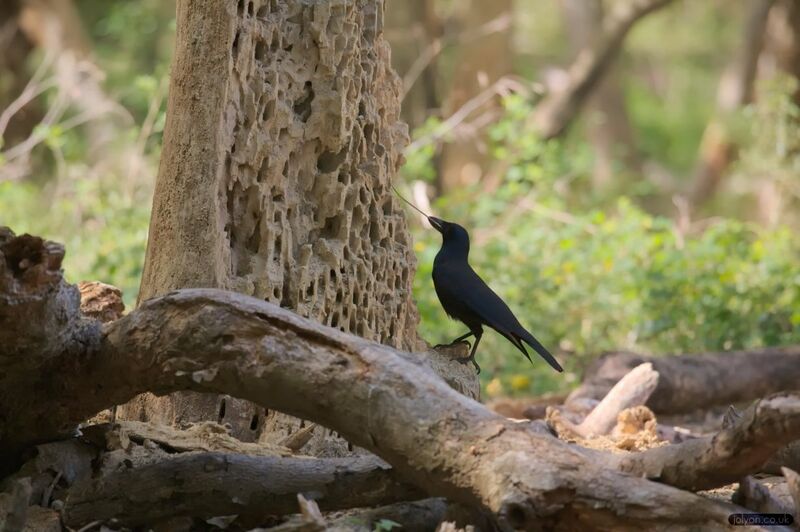 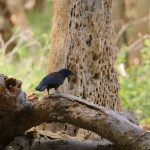 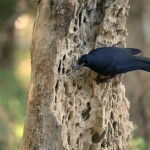 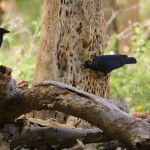 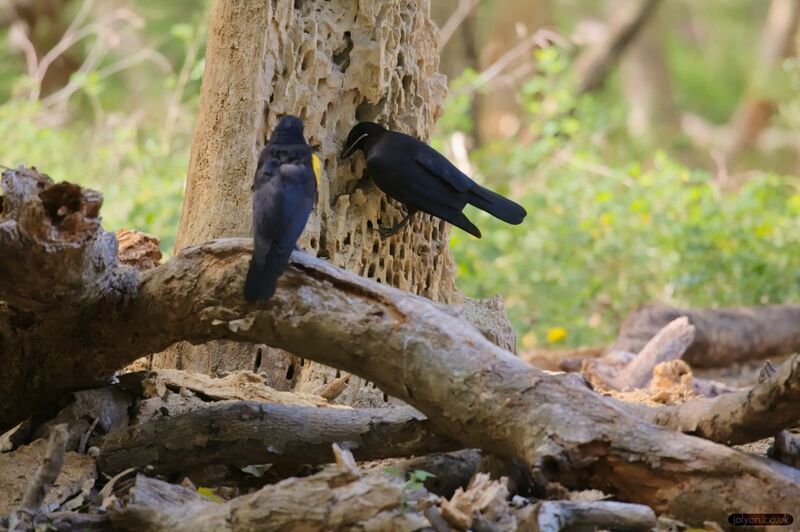 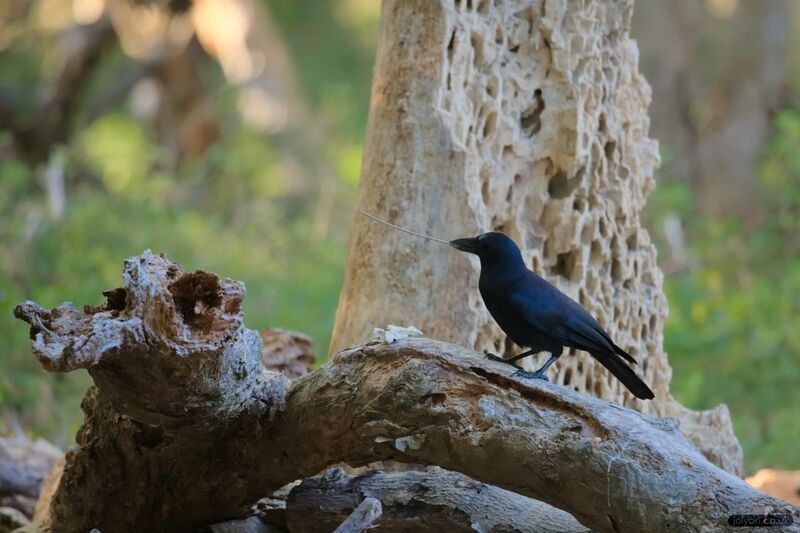 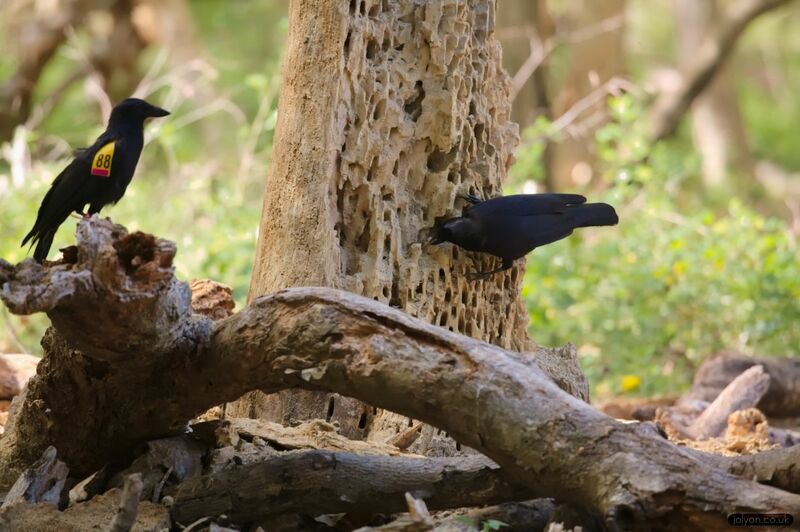 These crows often use tools to extract wood-boring beetle larvae from deadwood, but tool-use proficiency can take years to develop in young crows. 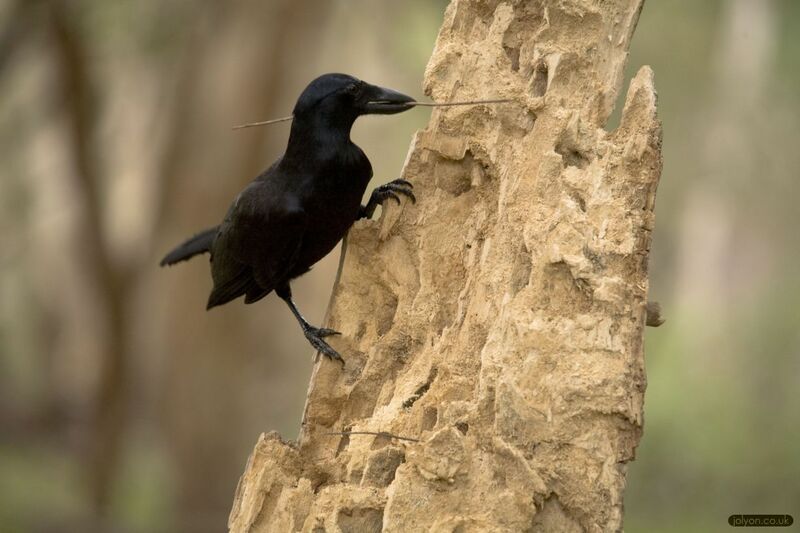 Using novel filming methods in the wild I found that the crows can vary their tool probing strategies in response to the larva’s orientation and weight, suggesting that this apparently simple tool-use task requires costly investment whilst individuals develop subtle probing strategies. 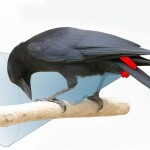 This study also suggested visual feedback could be important during tool-use. Holding a tool in the bill places awkward physical constraints on watching the tool-tip – a problem that primates don’t encounter. 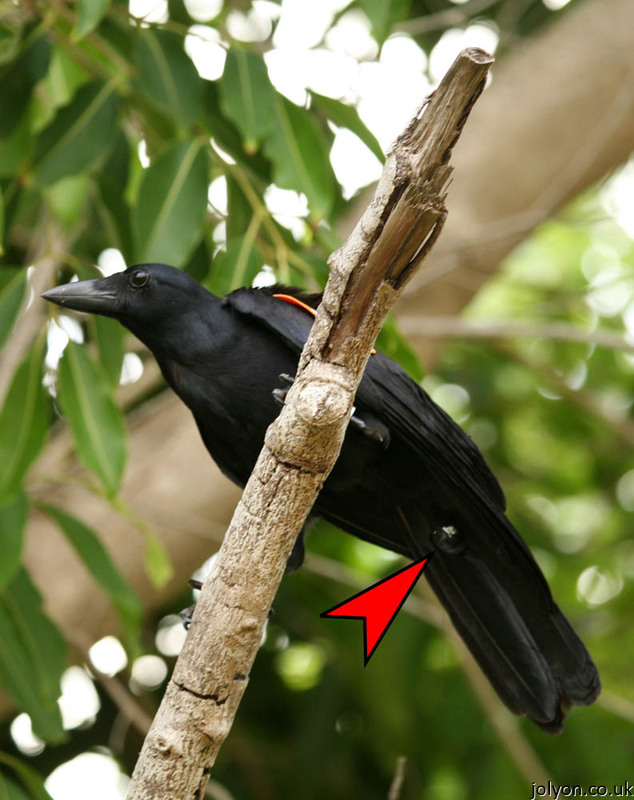 I found that New Caledonian crows have a unique visual field that combines with their peculiarly straight bill, enabling them to see directly down the tool into a small hole. 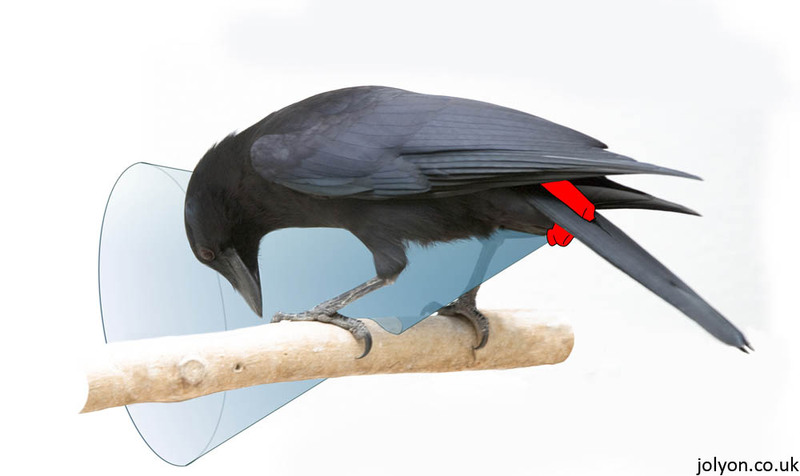 All other corvids have curved bills – which are ideal for probing into substrates and tearing at carrion – but would project the tool down into a narrow area of their visual field so they wouldn’t be able to see what they’re doing. 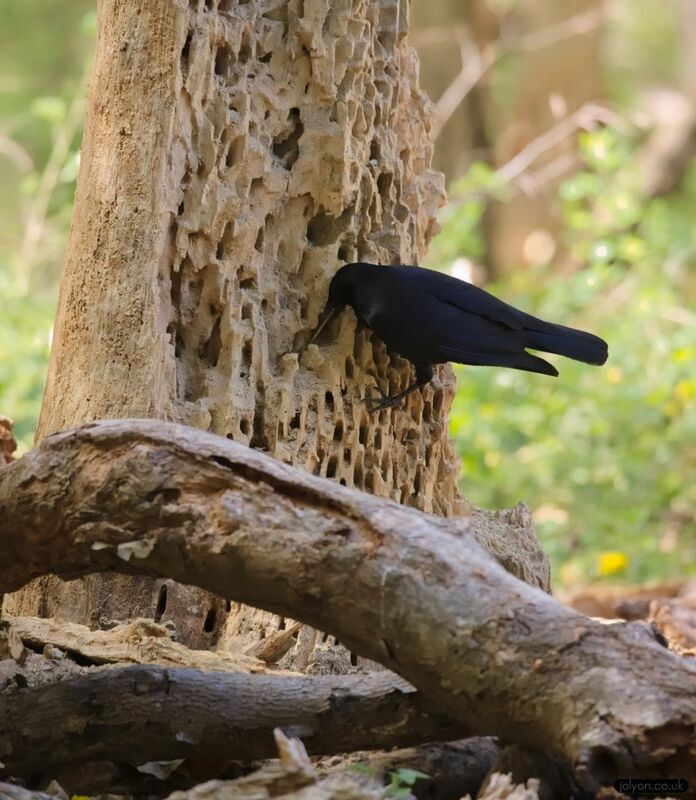 To my knowledge this represents the only case of morphological adaptations for tool-use outside of the human hand, and could provide a simple explanation for the scarcity of tool-use in intelligent corvids. 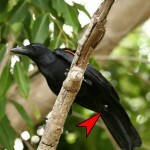 We place the cameras on the top of the crows’ tail feathers with the camera pointing between their legs. 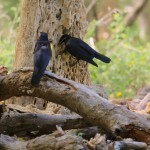 This gives us a good view of their bill, and tool-use. 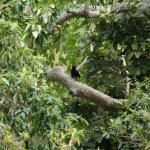 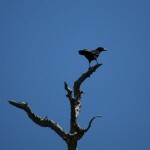 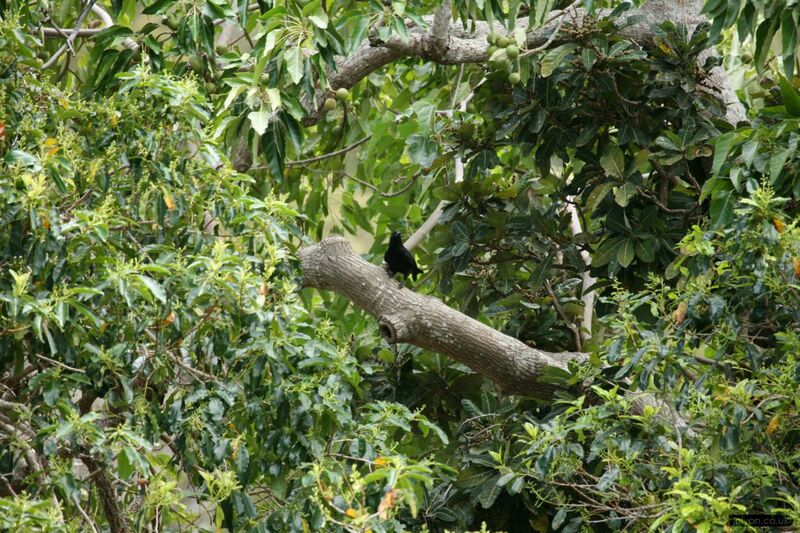 New Caledonian crows are easy to spot in the wild, but they never go about their tool-using while being watched. 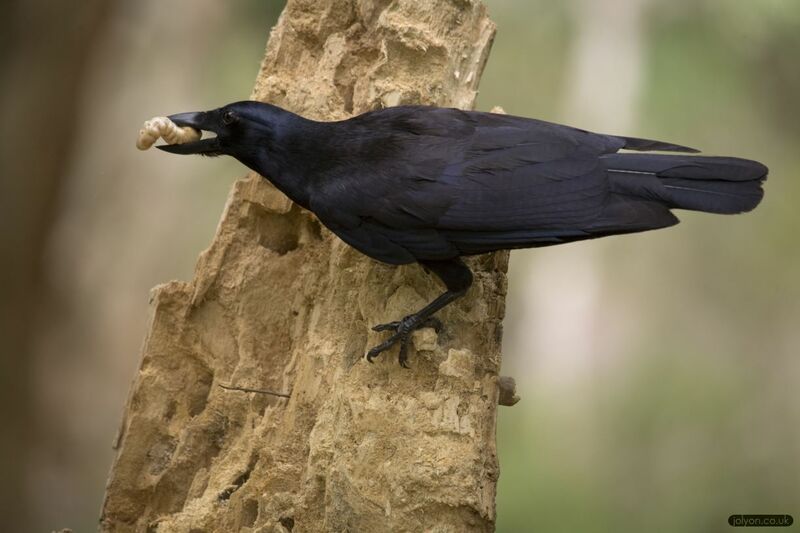 That’s why their tool-use behaviour was overlooked by the scientific community for so many years.In order to understand how tool-use evolved in New Caledonian crows we must first ascertain the ecological importance of the behaviour. 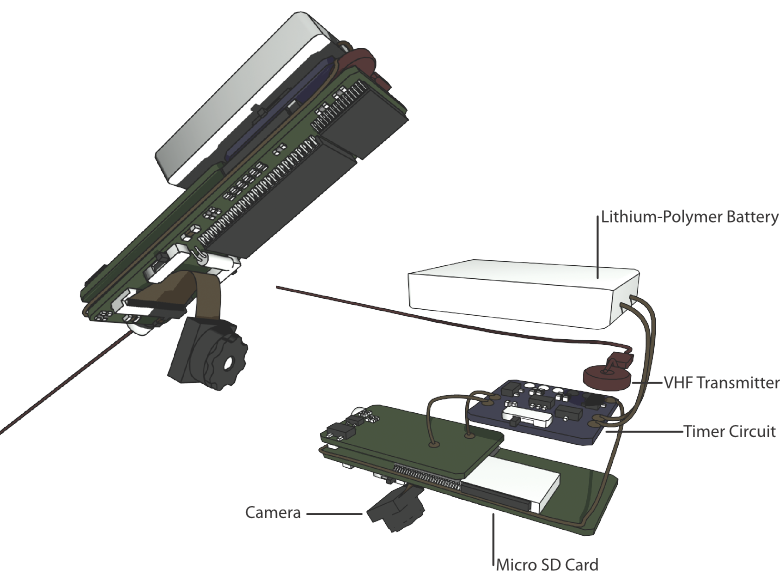 Stable isotope analysis revealed how larvae and nuts make up a substantial component of their daily nutritional intake, and our previous study using motion-triggered video cameras reveals that the majority of these larvae are extracted using tools. 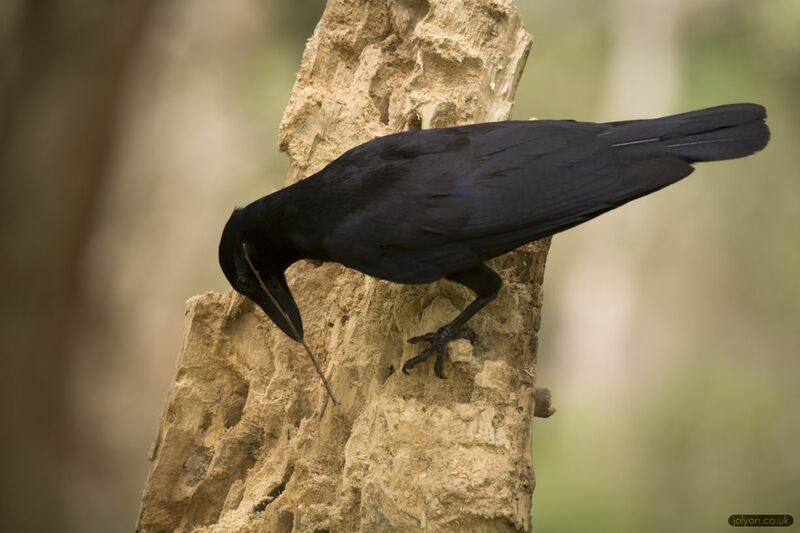 However, observing the tool-use of elusive wild New Caledonian crows is exceedingly difficult away from feeding tables or sites of high activity, indeed we know almost nothing about the tool-use ecology of crows in the humid forests. 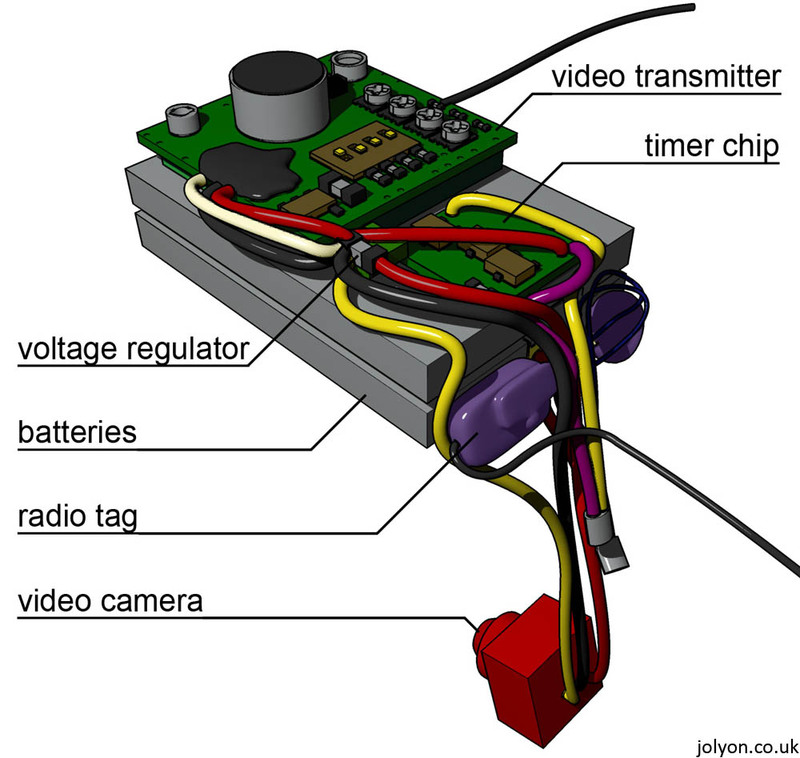 We therefore use animal-borne cameras that grant us a unique “birds’ eye view” of their candid behaviour.I helped make a new generation of these cameras that save the video footage to an on-board memory card, then we picked up the cameras after they’d fallen off by using VHF radio telemetry. 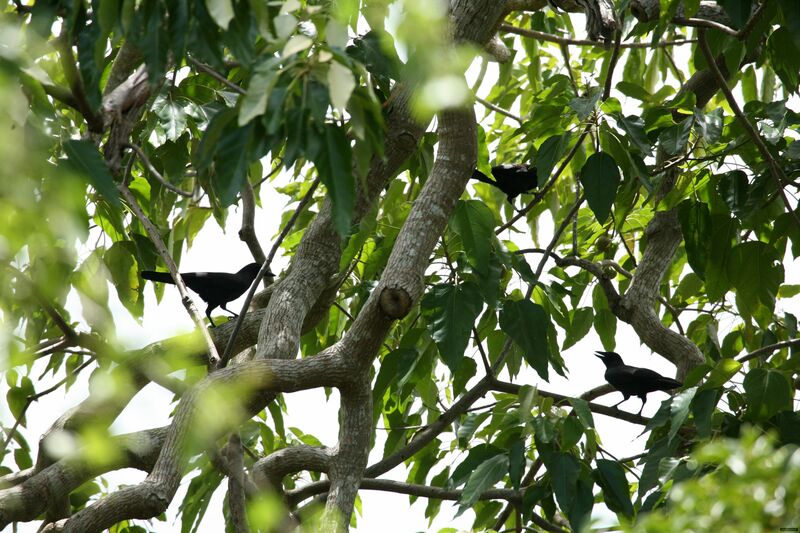 The first generation of crowcams (left) beamed video footage to us fieldworkers wirelessly, so we had to follow the crows and try to beam in the footage through unwieldy satellite dishes (not a very rainforest-friendly procedure!). On the right is a crow released with a crowcam pointing between its legs. 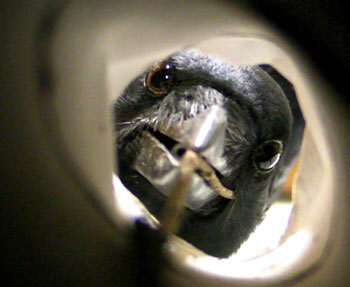 I like your approach of using onboard cameras to further your research into this fascinating behaviour. 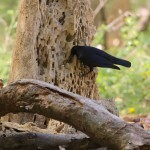 I was in NC last year filming tool use, including the use of stone anvils at the base of trees to break open candle nuts. 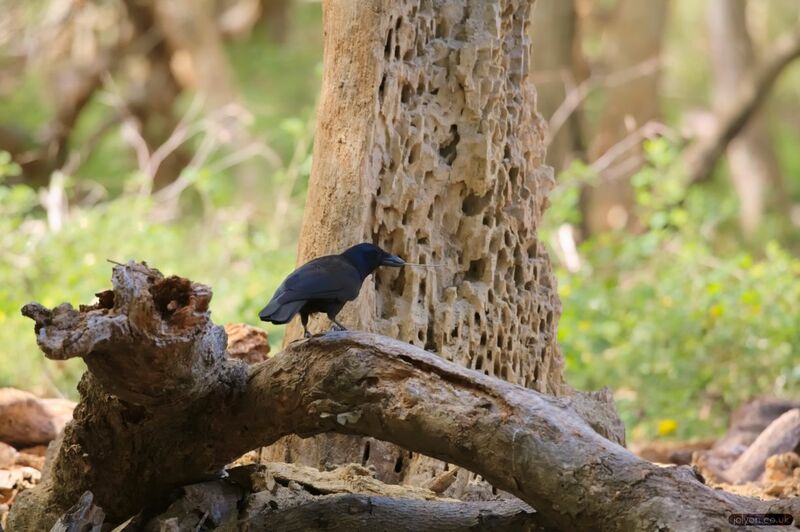 We got some great footage, especially from our remote cameras hidden inside rotten wood. 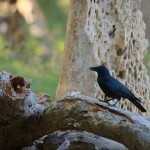 I would be very interested chat to you about your work and the footage you have captured. 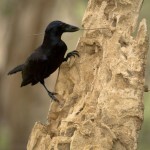 I was especially interested by what you have to say about morphological adaptations of the bill. 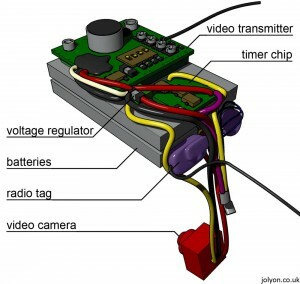 When I looked at my remote camera angles of tool use I was struck by a similar thought. 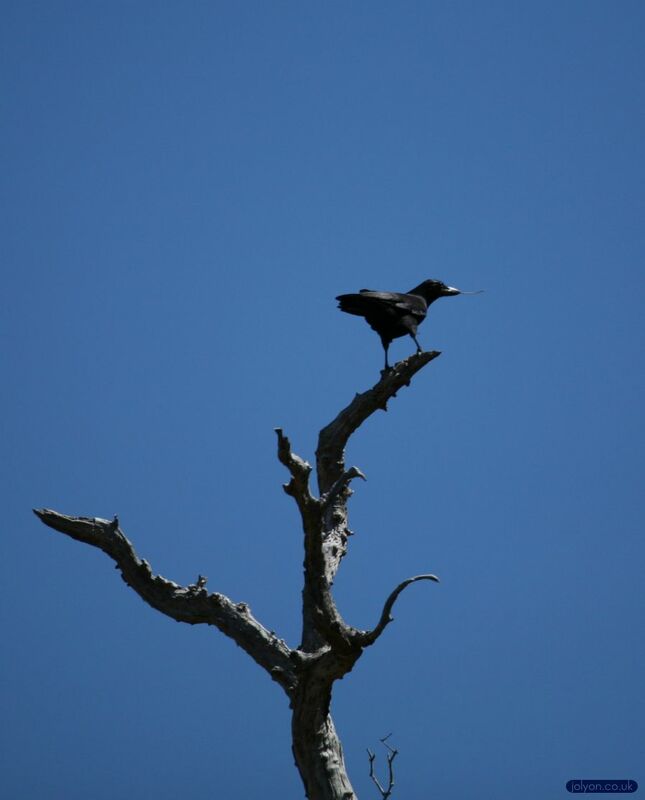 Let me know if you are happy to chat.